Universal entitlement to education, Right to Education (RTE) is recognized by the United Nations Human Rights Council as a human right that demands free and compulsory primary education and mandatory development of secondary education that is accessible to all. In Thailand, the National Education Act of 1999 (amended in 2002), stated that “In the provision of education, all individuals shall have equal rights and opportunities to receive basic education provided by the State for the duration of at least 12 years. Such education, provided on a nationwide basis, shall be of quality and free of charge.” Thailand also adopted a policy to formally allow children of migrant workers to be part of the school system in their locality. 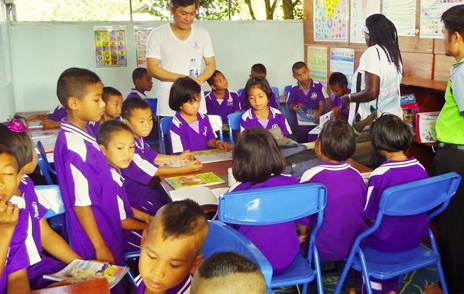 The Fellowship Foundation for Child and Youth Development (FCYD) with collaboration from the Institute of Asia Studies, Chulalongkorn University conducted a study entitled ‘Right to Education- Community Research, Thailand’, (January 2014). The research aimed to study RTE in the Thai context, focusing on the adequacy of coverage (quality institutions, teachers, educational media, equipment, etc.) The research aimed to expand children’s opportunities for accessing quality education. The selected sample research populations were from five provinces in four regions of Thailand; Bangkok and Sa Keo (Central), Mae Hong Son (North), Nongkhai (Northeast), and Ranong (South). The sample included hill tribes, undocumented persons, Thais and non-Thais. 32% of the sample was NOT aware of the free education policy. 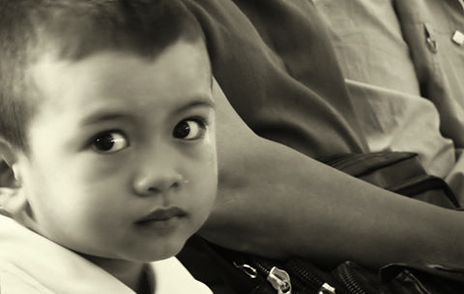 It was found that in Thailand economic status is the largest barrier to receiving education. 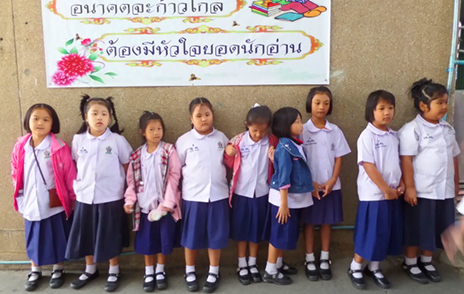 Children with special needs or non-Thais face economic obstacles, and many schools do not have adequate staff to accommodate them. The government’s free education policy is not achieving full coverage, partially due to parental ignorance and partially due to lack of compliance by some schools. Dropping out of school hugely impacts a child’s quality of life and future. Many students drop out for reasons such as inadequate income, parental migration, working to help the family, and marriage. For non-Thais discrimination and bullying impacted school dropout levels. The World Economic Forum (WEF): Global Competitiveness Report 2014-2015, ranked Thailand seventh among the ten member states of ASEAN in terms of the quality of primary education. Thailand's quality of higher education is ranked eighth in ASEAN. Laos scored higher than Thailand in both areas. The Thai Ministry of Education will continue to face challenges in order to improve the education system and meet national standards. 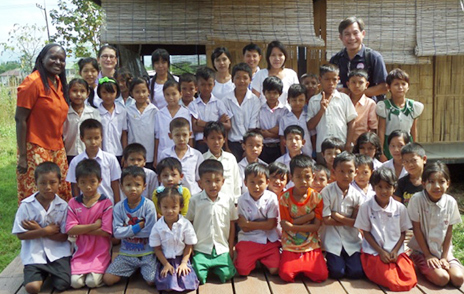 Thailand has made impressive progress in providing education to most of the population. However, significant disparities in access remain, particularly for poorer rural children and migrant workers. Education quality needs to be improved to address unequal opportunities for those from poor or migrant families. At local levels, the 12-year free education program should be reinforced with the provision of greater and fairer educational opportunities. We need to ensure that all kinds of under-privileged children; particularly girls, children in difficult circumstances, children with disabilities and ethnic minorities have access to free, good quality primary education. Education on the rights of all children to education: national campaigns and information dissemination are necessary to challenge many of the cultural barriers, discriminatory attitudes and beliefs that serve to impede access to education. Parental and family support: Parents need to be supported to ensure their children’s attendance at school. An inclusive ethos and environment: Schools need to be provided with policies and guidance on how to create learning environments that respond to, and value, the differing needs of children. They need to promote a culture of respect for difference and introduce approaches to support all children, irrespective of gender, language, ethnicity or disability. A flexible structure and timetable: Schools should adapt to children rather than the other way round, especially during the early years and through the first grades of primary school. It is necessary to explore options for a less rigid and more inclusive approach to the organization of schools. Cooperation among communities and schools: Every school in Thailand has established a ‘Surveillance and Assistance System’ to tackle individual student performance. Integrated information from both the school and the community would upgrade the surveillance and allow it the ability to address the issue of RTE and educational access. The Fellowship Foundation for Child and Youth Development (FCYD) is committed to acting as a facilitator to manage all involved supporters and stakeholders in the promotion of RTE for under-privileged children. With regards to education, the Thai government bears the primary responsibility of providing schools, training teachers, developing the curriculum, monitoring standards, eliminating discrimination and promoting equal opportunity of access. Other key players, such as local authorities, schools, parents, communities and foundations– also have responsibilities, however their capacity to fulfill these are dependent on the governmental rules. We will put forward our best effort ensure that every under-privileged child including migrants receives access to quality education services, as stipulated in the National Education Act.